Der Pina Bausch Fellowship ermöglichte Marie-Lena Kaiser zur intensiven eintauchen in die choreographische und körperliche Arbeit Horacio Macuacuas. Sie arbeitete und trainierte mit ihm für dreieinhalb Monate eng zusammen und folgte ihm nach Mosambik, Spanien, Deutschland, Italien und Estland zu verschiedenen Workshops und Festivals. 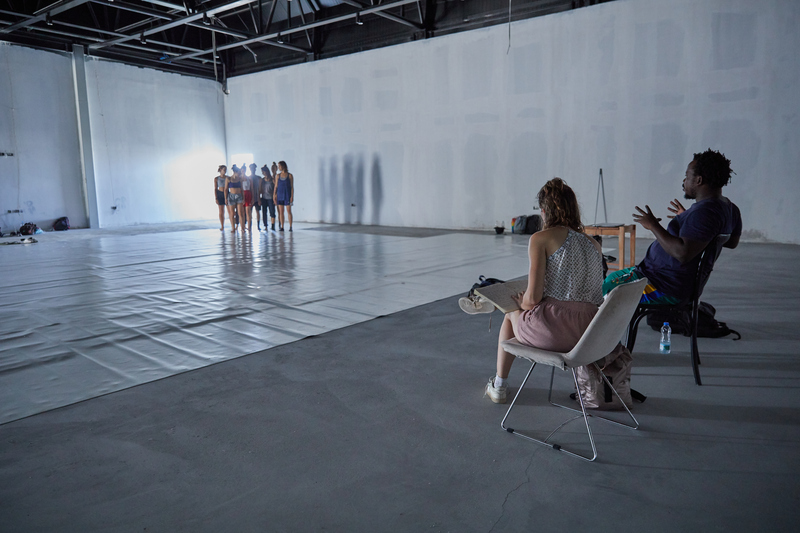 Through the Pina Bausch Fellowship Marie-Lena Kaiser had the possibility to dive intensivly into the physical and choreographical work of Horacio Macuacua. She trained and worked with him for three and a half month and followed him to Mozambique, Spain, Germany, Italy and Estonia to different Festivals and Workshops. Jury Statement: "In a first impression you can understand that Kaiser’s work is pushing it’s own boundaries of experience and intensity. She displays a bold and unusual choice, developing the selected idea in depth, in a refined mix of ludic and dramatic expressions, using minimalism as well as an explosive energy. We feel there is strong potential in her partnership with cooperating partner Macuacua, with whom she already started a very stimulating dialogue. Both artists have a strong sense of musicality developed in unconventional ways, as well as a powerful physicality, though from very different aesthetics and formal structures. Macuacua’s mentorship and the environment he will offer, will certainly open new windows of exploration in terms of dynamics, approach and content of movement, subtlety in constructing and staging material, lightness and a certain ludic approach."